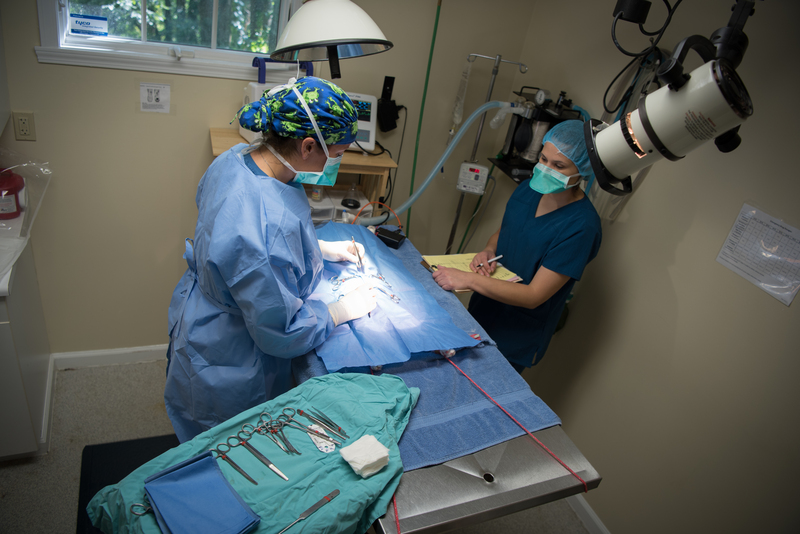 At Hometown Veterinary Hospital, we perform many surgeries, including but not limited to; spays, neuters, declaws, mass removals, abdominal surgeries dental cleanings/surgery and some orthopedic procedures all under the safest anesthesia with very close patient monitoring. The monitoring includes continuous ECG, IV fluids/fluid therapy, blood pressure, oxygen and carbon dioxide levels. On your scheduled surgery day, your pet should arrive between 7:30 and 8:00 AM. The night before, no food after 8:00 PM, but water is fine. When Dr. has finished with the procedure you will get a phone call with an update on how everything went. In most cases your pet will be able to go home the same day, but some do have to stay overnight with us. When you get your phone update, you will be notified of when you can pick up! In 2017 the American Association of Feline Practitioners (AAFP) announced their position that they strongly oppose declawing as an elective procedure and that it is the obligation of veterinarians to provide cat owners with an alternative to declawing prior to agreeing to perform the procedure. The reason for this decision is that scratching is a normal feline behavior and declawing is more than an aggressive nail trim. The procedure involves amputation of the 3rd phalanx (or 3rd bone) of each digit which means 10 amputations for a front limb declaw procedure. This would be the same as cutting off the end of each of your fingers at the knuckle closest to your fingernail. As you can imagine, this is a painful procedure for patients and can result complications such as long term lameness, behavioral problems, and chronic neuropathic pain. If you are considering a declaw, please read through the links below for more information on the nature of the procedure and alternative options including nail trims, pheromone therapy, soft paws, and scratching posts. There is a new product, FeliScratch, that will help train kittens the proper areas to scratch and will help retrain 80% of older cats as to appropriate areas to exhibit scratching behavior. FeliScratch is available at Hometown Veterinary Hospital.